Be vewy vewy quiet, I’m hunting…..? 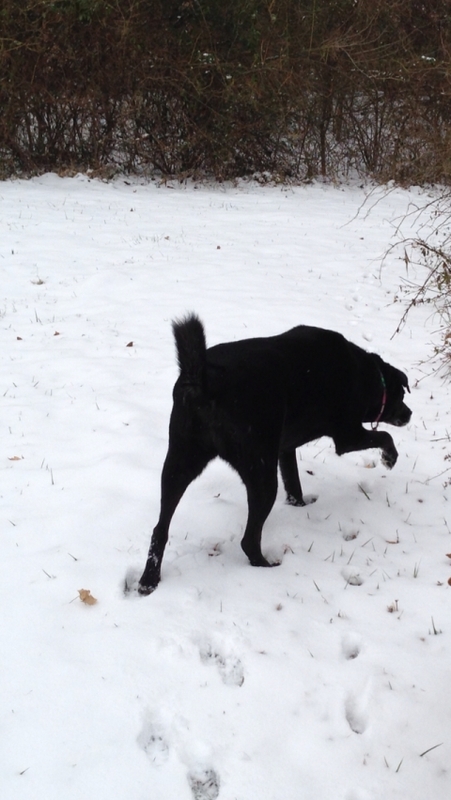 We took a walk through the snow yesterday, and Trixie got onto the scent of something which had left some tracks. 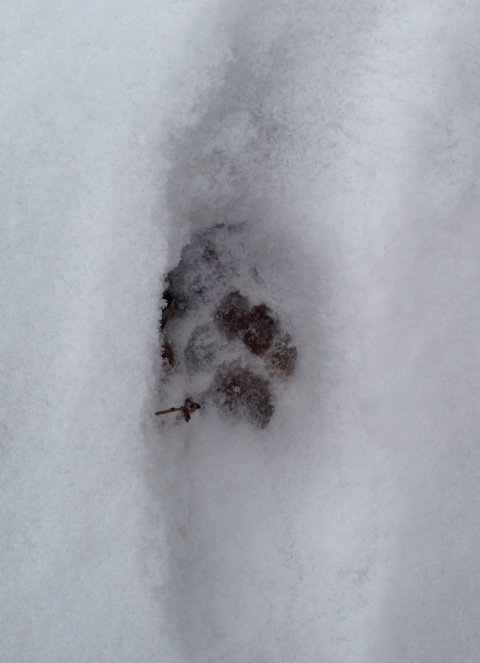 We thought at first it might be a fox print, but after a bit of Googling, it is more likely from a cat. This entry was posted in Blog Update and tagged snow, Trixie. Bookmark the permalink. Actually, today Trixie almost took off after a bunny, and good thing I had her on leash!